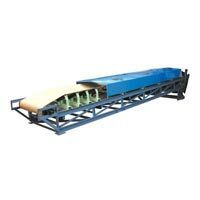 Manufactured with the best quality steel such as EN 9, EN 8 and EN 24, our Portable Belt Conveyor has found a number of applications in cement, agriculture and paper industries. 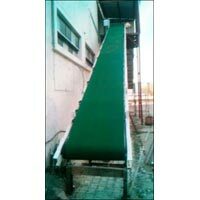 Ideal to be used for medium and heavy weight, our Belt Conveyor System is found in a number of dimensions to meet the specific requisites of the clients. 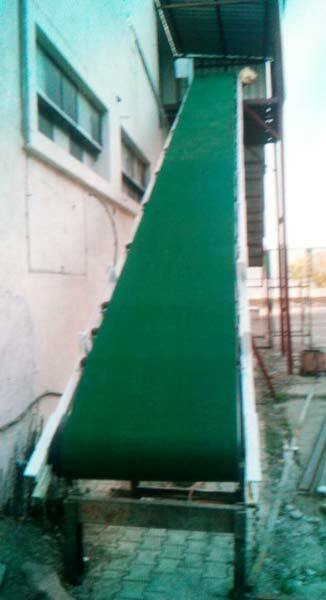 Today, we are counted among the leading Flat Belt Conveyor Manufacturers and Suppliers. This is normally used for light and medium weight loads between operations, departments, levels, and buildings. 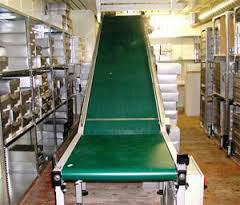 It is imperative in places where incline or decline is included in the conveyor path. 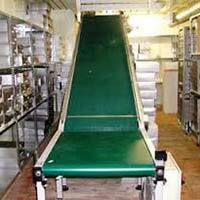 The belt is generally of roller or slider bed supported for small and irregularly shaped material. 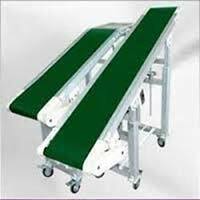 The portable belt conveyors are suitable for light to medium loads and offer flexible conveying path such as inclination, curve, long term dependability and low operational cost. Our range is used for transport industrial and agricultural materials, such as grain, coal, ores and many more.